Staying hydrated and energized are my key secrets for enjoying everything this wonderful summer has to give. I wake up in the morning and have my usual hot lemon water, and as soon as afternoon laziness hits, I know it’s time for a new refreshment. 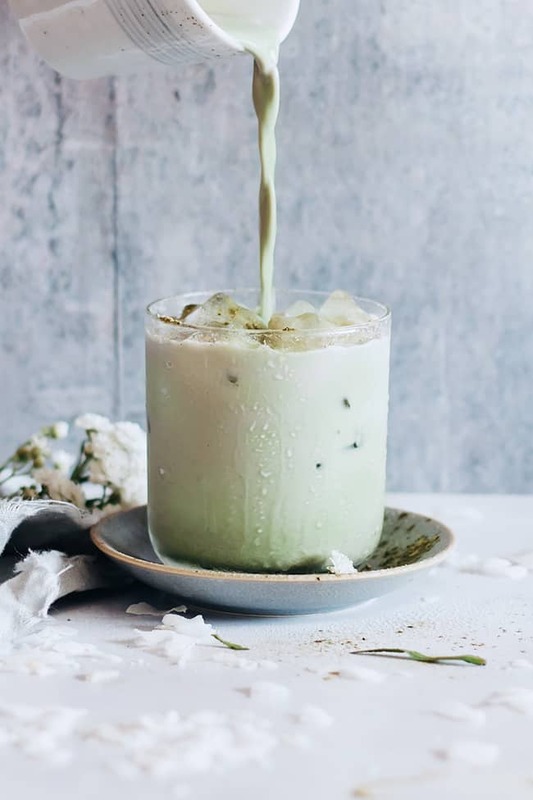 This iced matcha latte is my latest obsession, and I’ve been experimenting lately to create deliciousness with this magical green tea powder. Traditionally used for Japanese tea, matcha powder is a natural energizer and a powerful antioxidant ingredient. It has the empowering effects of coffee, without creating dependence and calibrating the energy production in a balanced way. What I love about matcha is the fact that it calms your mind and makes you aware. Sometimes I have matcha drinks before my morning meditation sessions, because it helps me focus and be present. Sets your metabolism on fire and helps you burn calories. Enriches your diet with fiber, antioxidants, vitamins and chlorophyll. Regulates your hormone production, being a quality source of key minerals (selenium, zinc and magnesium). You can easily introduce matcha to your healthy routine by adding it to your breakfast bowls, smoothies or teas. This Matcha milk or “Matcha Latte” is a great choice especially if you’re trying to quit coffee and still stay energized. 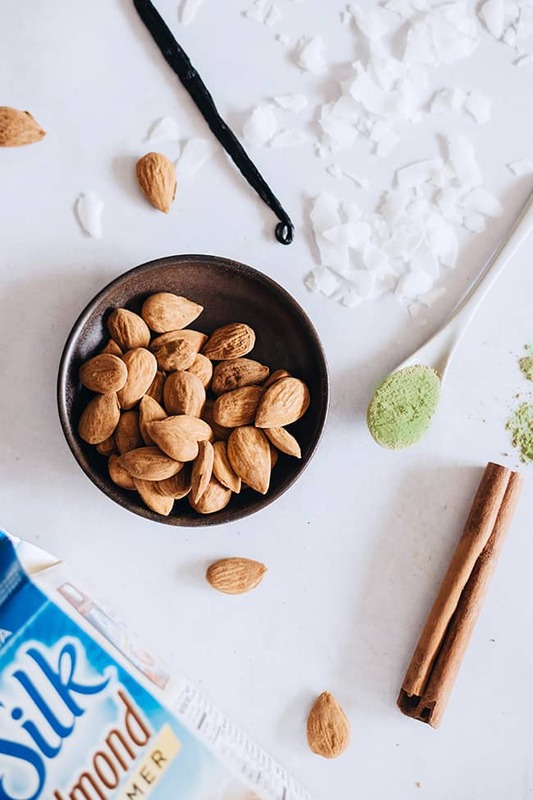 I like to make my lattes creamy, so I experimented with Silk Almond Creamer (find it online here), but you can pretty much make this refreshing drink with any vegan milk you prefer. 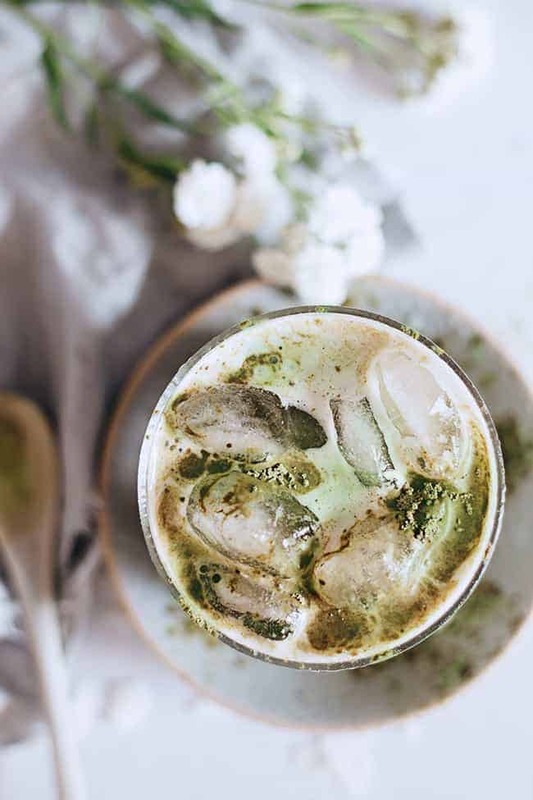 Refreshing, energizing and loaded with antioxidants, this matcha drink is made with all-vegan ingredients and makes a delicious replacement of your morning coffee. Add all the ingredients (including the ice cubes) into a blender, and pulse until frothy. Add ice cubes into the serving glasses, pour evenly the matcha milk and enjoy! Organic us the best! Has no other ingredients. You can find it on Amazon & eBay! I got my organic matcha green tea on eBay! It’s a little price but worth it! What is match and what is the name of the green tea? Matcha powder at trader joes is full of sugar and thickeners. I ordered mine on eBay! It’s organic and it has no additives! Look for organic matcha! What a great recipe :) This looks so tasty! Thank you for sharing. Yum, this sounds amazing! I need to get myself some matcha! This is a great recipe – I’ve been loving matcha lattes recently (here’s a post + vid: http://www.curiouslyconscious.com/2016/06/matcha-latte-recipe-video.html), but haven’t yet tried it cold yet!